I feel a bit premature writing this as it’s over 90 degrees outside and my afternoons are still spent poolside. Yet now that the days are regularly below the triple digits, I can humor myself with a few pumpkin spice products. This summer was the third hottest on record in Austin which meant plenty of hot sticky days broken up by Dragon Boating, trips to California and Denver, and many refreshing summertime beers. Summer is my favorite season to discover new beer styles. Something about the hot weather makes me venture away from IPAs to the land of lighter thirst quenchers. The summer of 2016 was my love affair with the gose and this summer I finally got serious about the berliner weisse. According to BeerAdvocate’s Style Guide, a berliner weisse is defined as “low in alcohol, refreshingly tart…the Berliner-style Weisse presents a harmony between yeast and lactic acid.” The beers I’ve enjoyed this summer have been low in ABV, usually between three and four percent, so I can drink more then one on a 100 degree day. They are tart but never overly so and with a savory, aged funk which adds character. I’ve never been introduced to this style before moving to Texas and now I can’t imagine the heat without it. Here are four of my essential berliner weisses for surviving Texas summers. You read that right, Zero bittering units. Despite the fact that I feel like I am cheating by adding a non-Texas beer to this list, Tart Cherry is such a unique beer that I couldn’t exclude it. It must have taken a feat of beer engineering to create this sweet cherry lime-aide that could pass as high end juice. It’s more than a beer that you can trick non-beer drinkers into enjoying, it’s a perfectly sweet, dry beverage that pairs with any beach or poolside. Score: Five out of fives picnics for being unlike any other beer I drank this summer. 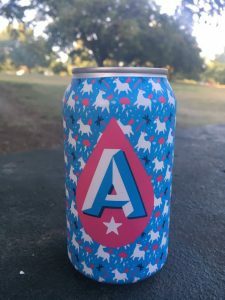 I got to try this beer after a hard and humid leg of the Zilker Relays. I was a member of a four person team, each running 2.5 miles. I ran my leg in 20 minutes and 40 seconds, a time I am proud of considering it took place in the heat of the day at 90% humidity. Afterward the beer tent awarded runners with pints of Peach Berliner Weisse. More sour than peachy, this beer was a great end to a hot run. I wished that the fruit flavor was better defined. Score: Three out of five sweaty sprints. If there was an award for cutest can, Einhorn would sweep. In fact the bright and colorful branding draws me to ABW time and time again despite the fact that I am often disappointed by their canned beers. * Einhorn is a solidly tart beer described by ABW as “more fun than water.” I can’t argue that! In fact I can’t argue with much at all about this beer. It’s a lemony, refreshing introduction to the style. There’s just a lot better out there. Score: Three out of five cute unicorn cans. When Eric and I were slogging to Machu Picchu, we chatted with a nice German guy about German beer. He was rightfully proud of his nation’s beer and I didn’t have the courage to say that I thought the beer purity laws created some dreadfully boring beers**. My new friend should have pointed me the way to Live Oak Brewing to prove me wrong. 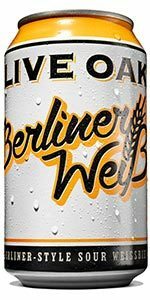 Smoked beers, bocks and of course Beliner Weisses: Live Oak excels in them all. If you try their Beliner Weisse on tap at the brewery they can add a flavored syrup to it in the traditional manner. Flavors range from raspberry to elderberry and are a fun addition to mix it up. The beer doesn’t need the syrup; it excels on its own as the best Austin summer beer you can drink. It’s lightly sour without ever sacrificing being refreshing. 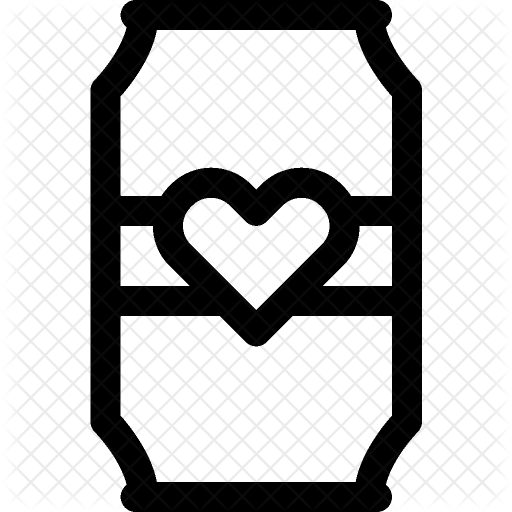 I love beers made with lactobacillus yeast which tends to produce a smooth and soft mouth feel. It’s the best the style has to offer. Score: Five out of five times I would pick this beer over any other in the heat. It has been a great summer but I am much more excited for fall. We leave next week for Germany. Look for my blog on Octoberfest and so much more! *Their taproom is another story entirely! **Hopefully I’ll be proven wrong next week. 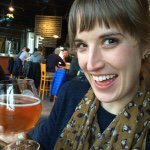 Katie is a Pacific Northwest native who writes a beer blog based out of Austin. From time to time she also writes about running, eating and other urban adventures. Follow her on Instagram @nokegtostandon or untappd as KatieX. I’m looking forward to your Oktobefest blog! Next time I’m in Texas I’ll have to try a couple of these.. Thanks!